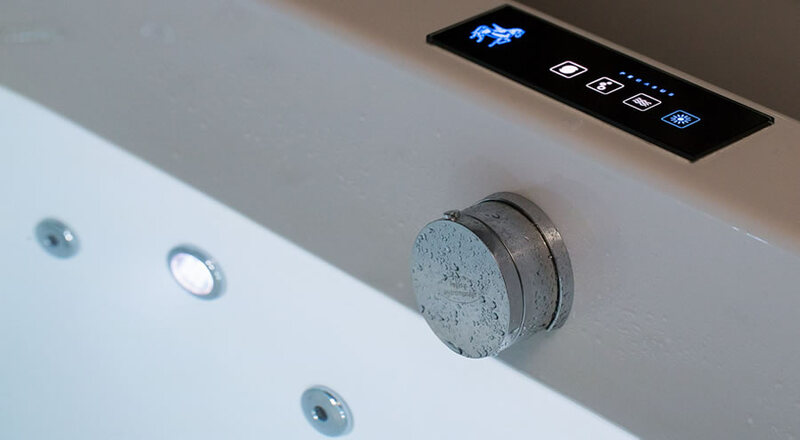 Choosing controls for your Pegasus whirlpool bath is a simple yet very important process. We have three main control options to choose from. Below are detailed descriptions of the controls & what features each one has to offer. These comprise a simple pneumatic on/off control coupled with a manual turbulence control or two manual turbulence controls for systems with more than eight jets. The pneumatic on/off control simply sends a puff of air down a tube to an air operated switch in the pump, turning it on or off with each press of the button. The air turbulence controls regulate the amount of air introduced into the air stream via the venturi jets. Rather like taps they turn the air on & off making the jet massage soft or strong depending on whether the control is open or closed. Chromotherapy lights are not an available option if you choose to have Pneumatic contols. 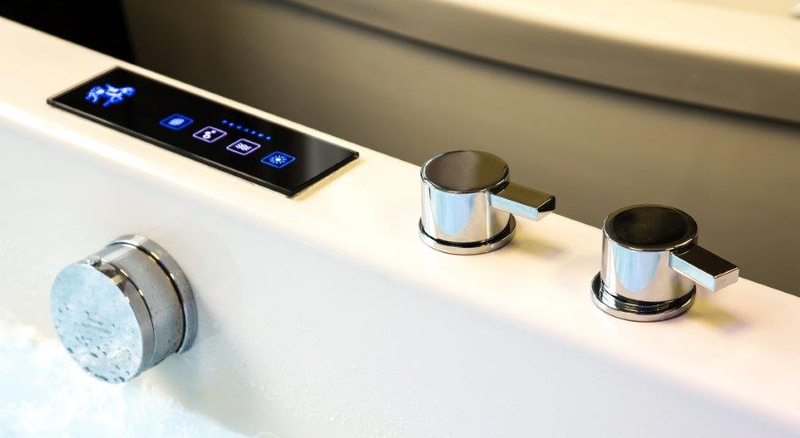 Our electronic control option adds more functionality & options to your Pegasus whirlpool bath. 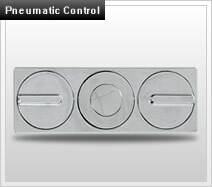 As standard all electronic controls add water level sensing & pump protection. Additionally, up to four Chromotherapy LED lights can be added into your own therapy center. 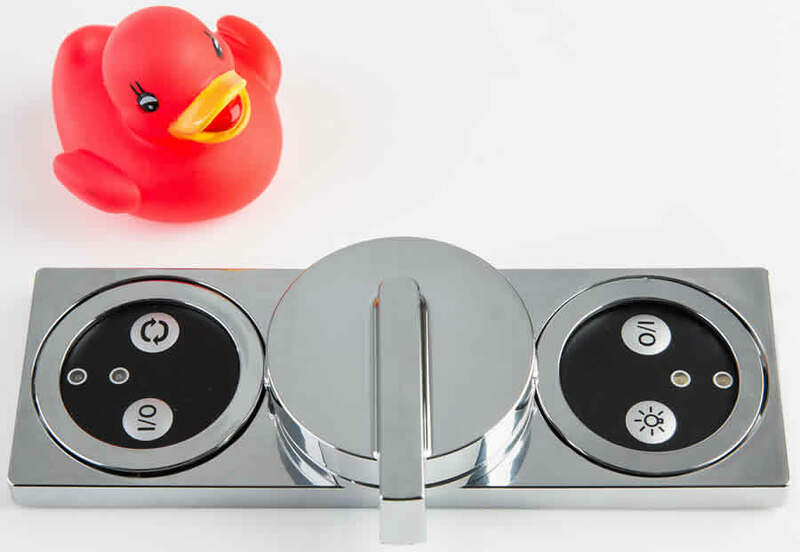 Water Level Sensing prevents the pump from being turned on unless the water in the bath is at least two inches above the jets - this has two benefits; firstly it prevents the system from being operated without sufficient water in the bath avoiding the jets shooting water out of the bath & secondly, it prevents the pump from being damaged due to operation without any water in the bath. 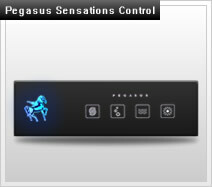 Pegasus Sensation™ whirlpool bath controls are our high class, state of the art control. They are a touch sensative, glass panel that will never wear out. The Sensations™ control panel can be mounted on the bath, or more conveiently, into the tiles or marble on the walls adjoining the bath. 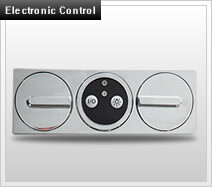 This ensures easy access to the sophisticated functionality available through the control. 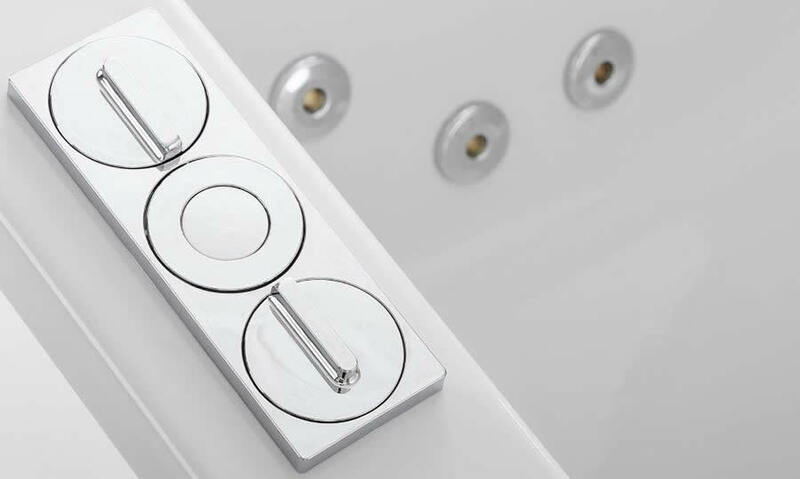 Available in three colour options, Black, Silver or White, the stylish Sensations™ control will compliment your bathroom decor. Other functions available with this control include our popular Turbo charged whirlpool with "wave" function - Turbo charged venturi jets cycle through high & low power by a series of five steps. Other functionality includes an Auto-purge cycle which starts after the bath has emptied by purging the pipework with hot air to dry & claen the whirlpools pipework. The purge cycle can also be manually instigated to purge the pipework after cleaning the bath or where a shower is installed over the bath. 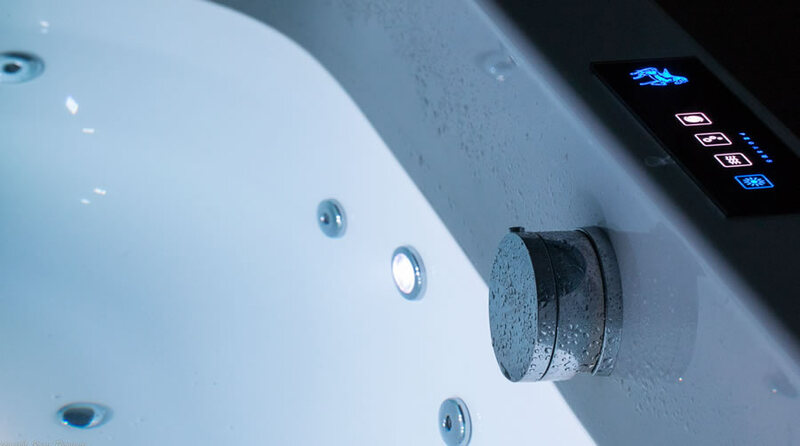 Pegasus Whirlpool Baths have three different control types to choose from when making your selections. 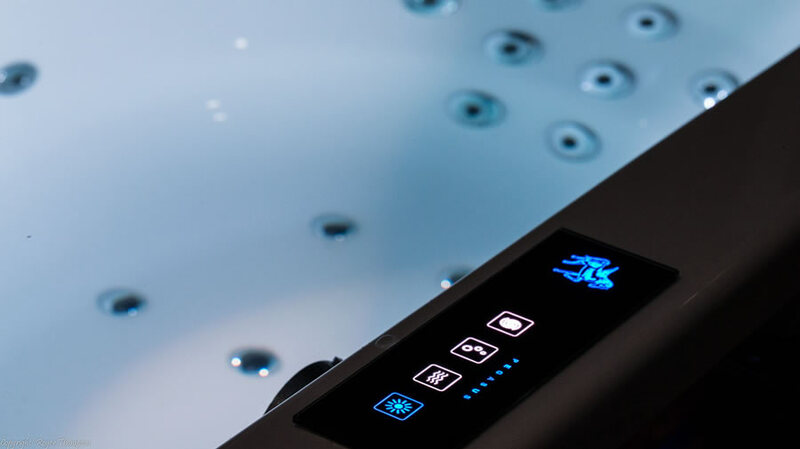 The most basic systems utilise a pnmeumatic control, our intermediate whirlpool systems have an electronic control & our high end Sensations™ whirlpool systems come with a touch sensative, glass control that never wares out & has every whirlpool feature built in.